You can upgrade your CRM System at any time to add advanced features and more users. 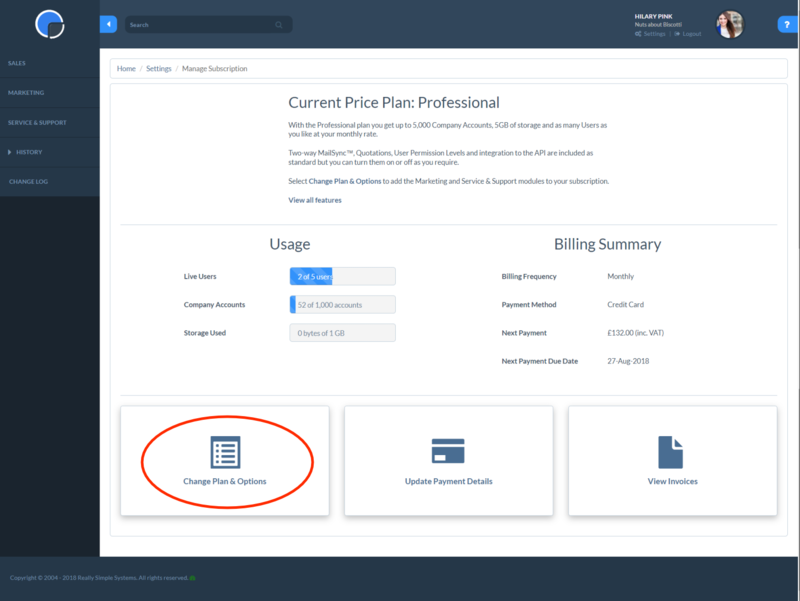 To upgrade your Pricing Plan, in the Settings tab, go to Manage Subscription. At the bottom of the page select Change Plan & Options. Select the plan you want to change to and whether you want to pay monthly or annually, then review the cost changes in Plan Breakdown. Click Save Changes to Plan to save. 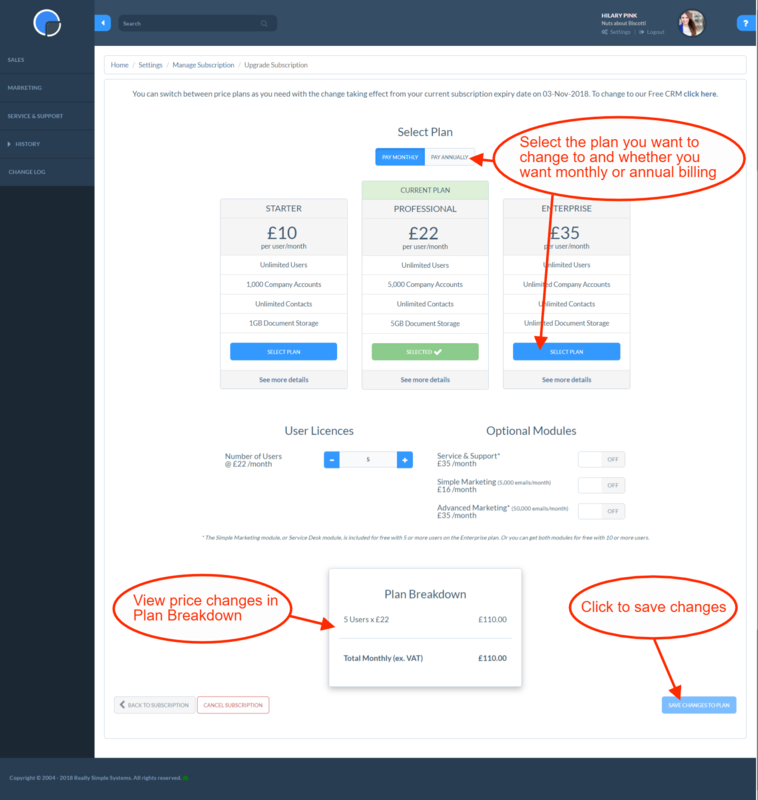 If you are changing from the Free CRM to a paid plan you’ll be directed to add your payment card details, or to set up a Direct Debit if you are a UK customer. If after your trial period you find you are not ready to upgrade you can opt to downgrade to the Free CRM, with a maximum of 2 Users and 100 Accounts. In Settings / Manage Subscription, select Change Plan & Options. In the text at the top of the next page you’ll find a link to change to our Free CRM. Click on this and a new option will appear on your screen.